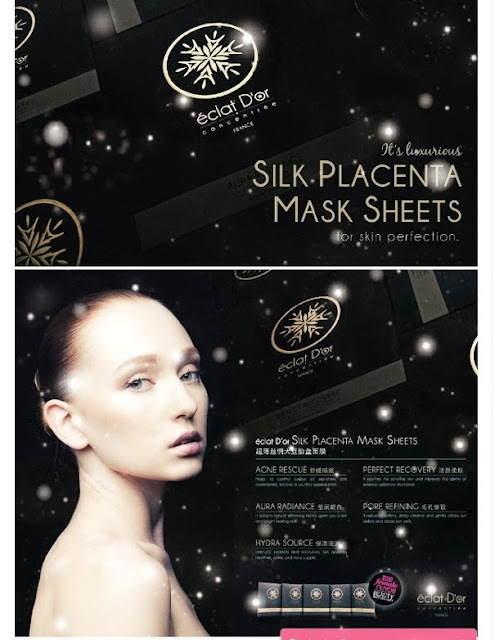 éclat D'or silk placenta mask series with unique design for five different skin types. This mask series contains the patented extract essence of SephyllaTM with the antioxidant effect of trehalose which moisturizes quickly, repair damaged cells and promote cell regeneration and to resist the signs of aging. 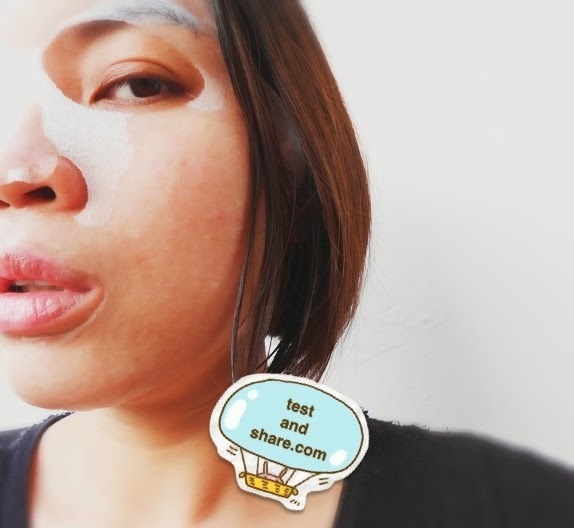 Just give it 20 minutes, and it'll allow you to regain compact and tender flawless skin. The mask series has a thin structure, coupled with nano-infiltration technology, absorptive capacity increase up to 20 times. 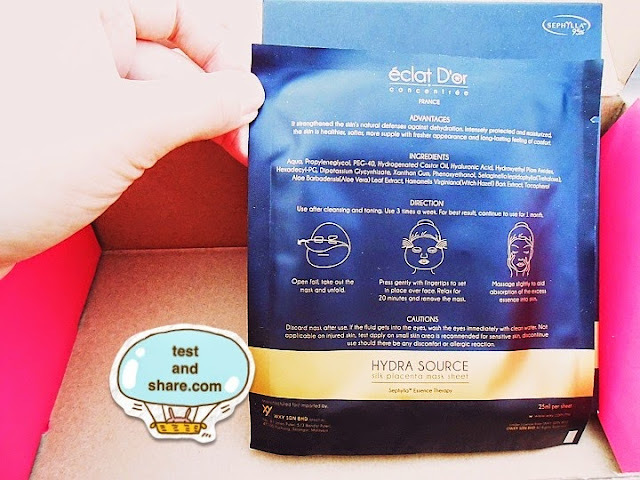 Hydra source is able to strengthen the skinOs natural defense towards dehydration. We recommend you to use the mask 3 times a week. For best results, continue using for 1 month. Aqua, Propyleneglycol, PEG-40 ,Hydrogenated Castor Oil, Hyaluronic Acid, Hydroxyethyl Plam Amides, Hexadecyl-PG , Dipotassium Glycyrrhizate, Xanthan Gum, Phenoxyethanol, Selaginella lepidophylla ( Trehalose ) , Aloe Barbadensis ( Aloe Vera ) Leaf Extract, Hamamelis Virginiana ( Witch Hazel ) Bark extract, Tocopherol. Caution: discard mask after use, if the Fluid gets into the eyes, wash the eyes immediately with clean water. 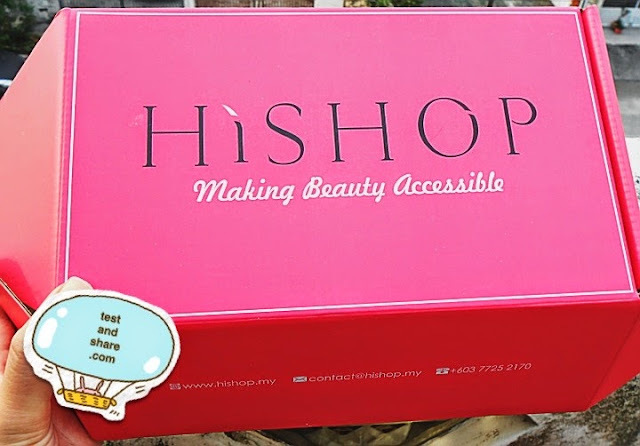 Not applicable on injured skin, test apply on small skin area is recommended for sensitive skin, discontinue use should there be any discomfort or allergic reaction. 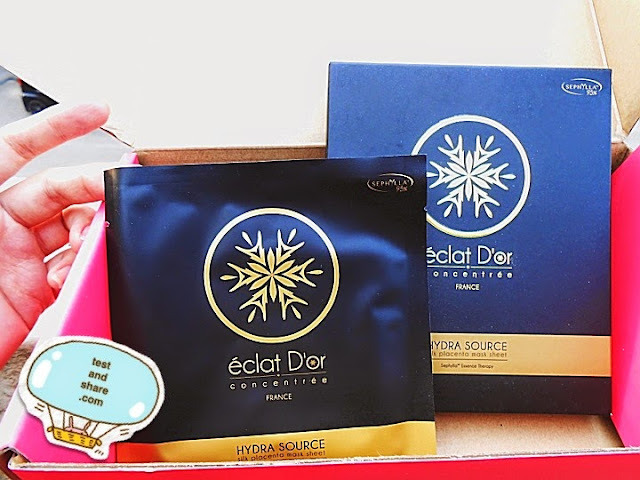 Hmm judge from the official introduction, it was a mask which combine anti- aging, hydrated, renewal skincell function. 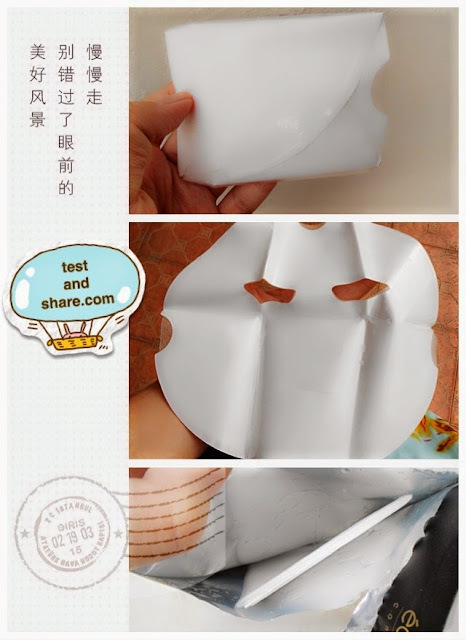 Mask sheet abit too large for my face XD . Price abit expensive for me.